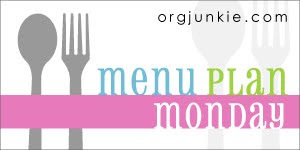 As always, check out more great menu plans at OrgJunkie. You cook like I eat! YUM! I've had meatloaf on my list for a couple of months and still haven't made it. Maybe I will do that tonight?? Sounds like a good plan....can I send my kids over on Thursday? They love meatloaf,lol.